One of the perils of a social media-centric work life* is a digital life littered with accounts on channels that didn’t make it. I spent part of my holiday staycation deleting some of these, while also getting started on Pinterest, a new(ish) site that’s getting a lot of buzz right now. Pinterest is, basically, a virtual pinboard where users collect pretty pictures of interesting things. I’m not gonna lie, when I first heard about it I thought it sounded kind of dumb. (This despite using my cube walls at work as an actual pinboard of notes, comics, pictures, and the like.) But, after just a week or so of poking around – and sticking mostly to food and travel – it’s kind of fun. You can follow friends/acquaintances/random people and see the things they pin, or you can look at general boards that are full of… I don’t know… jillions of pictures. 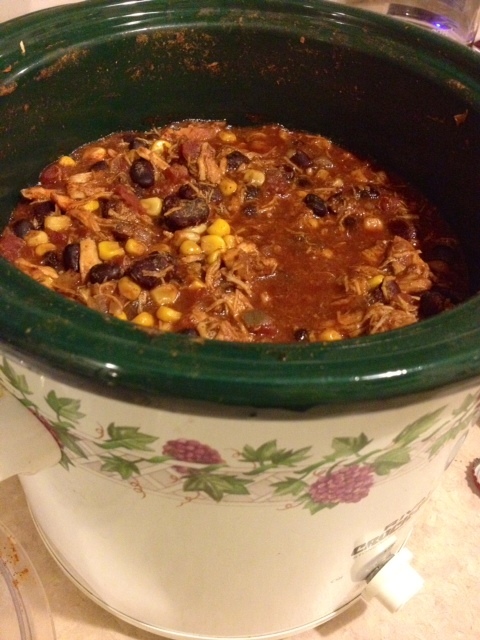 So far, I’ve been using it mostly to find recipes – and I even made one, Crock Pot Chicken Taco Chili,** this weekend. Jury’s still out on how I can best use it for work purposes, but there are so many pretty pictures of buildings, I am sure there’s some opportunity there. Right now, it’s still an invitation-only site, but it appears as though I am able to invite anyone I want, so let me know in the comments if you want one. Oh, and if you’re on it already, please follow me! Oh, and Mashable has a handy guide that explains things better than I do. * Officially now, by the way. The social media thing is now no longer just a sideline at work – my new gig (at the same org) is associate director of social media strategy. Fun! ** Very tasty. The only alteration I made to the recipe was adding a tablespoon of hot chili powder, when it came out too mild for my liking. Did check out the recipe, though, and have bookmarked the website. Some of the recipes look yummy! Also. *LOVE* the new job title ! I actually think you’d like Pinterst, Ma. It’s got tons of pretty pictures and recipes – and I bet it would look gorgeous on the iPad. I’m curious…can I get an invite? Congrats on the new job title…did it come with a raise too?